After the makers of Harley Davidson started moving some of their manufacturing units to foreign countries, now as a response to that President Trump has issued a statement regarding his favour for the boycott of the company by the bikers in America. The tension between these bike manufacturers and Trump has been going on for months after imposing high tariffs on the steel and aluminium imports for which the European Union replied by increasing tariffs on a set of goods including the Harley Davidson bikes. As per reports, Harley is facing a loss of $100 million every year due to increase in these tariffs and has planned to shift some of its manufacturing units to foreign countries. Trump hit back with a statement last month that he is working with other Motor Cycle companies who want to move into the US. 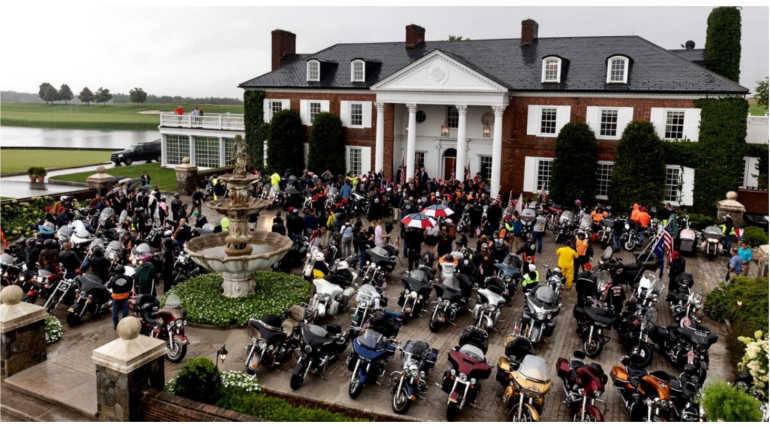 Trump hosted an event "Bikers for Trump" at his golf club in Bedminster, New Jersey and gave a smashing speech before them, took selfies and had a great time with them having their support for him in this Trade war. Soon after the event was over, Trump tweeted about the bike owners of the US willing to boycott Harley if it moves the units out of America. He also mentioned that there are more other companies including the competitors of Harley planning to move to the United States and it is a really bad move from Harley.